A voice as tenacious as the woman herself. 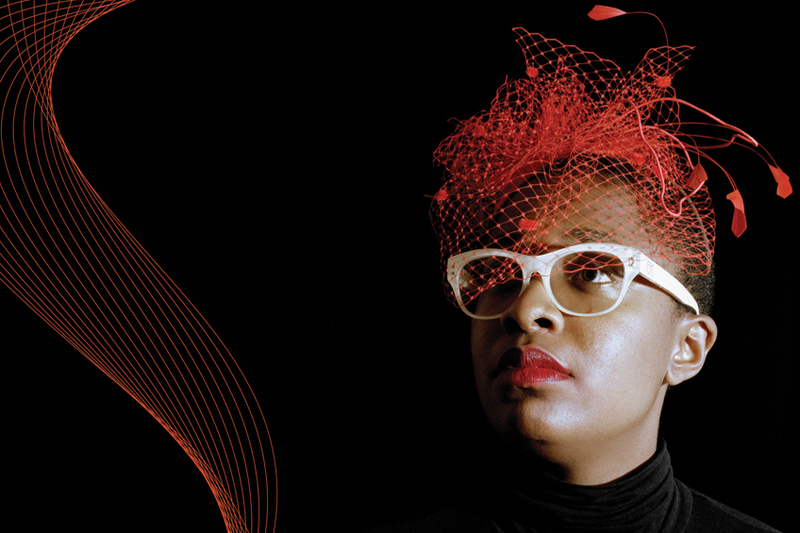 Grammy Award-winner Cecile McLorin Salvant is captivating the jazz world with her powerful performances. Through her music, she explores the history of American music and the connections between jazz, vaudeville, blues and folk music. She is known for singing rarely recorded or forgotten songs that contain strong messages. Presented by Da Camera of Houston, Salvant is performing in Houston on Saturday, Dec. 3, 2016, at the Cullen Theater, Wortham Theater Center. Q: You’ve accomplished so much, so quickly at such a young age. What’s the next step in your career? CMS: Next steps are always tough for me to answer. I’m living week to week. I don’t really have big plans other than some ideas for projects in the future. I do want to teach more, hone in on the musicology aspect of what I do and research the history, identity and race in American music. I think that’s a very fascinating subject. Q: Battling adversity from critics in the entertainment industry must not be easy, but you do so eloquently on behalf of both women and people of color. CMS: This comes from the women in my family. I’ve always been around really strong women — really independently-minded women who do what they want with their lives. They don’t worry too much about how their actions are perceived. It wasn’t even that I was taught from an early age that I could stand as a person and have something important to say. This was the norm coming from this background. My grandmother, mother and sister gave me that foundation. Q: What do you say to critics? Where do you draw strength from? CMS: I don’t read too much of what is said about me. In general, there are a lot of things that have gotten better, but we can’t expect things to get better even in a century — let alone in a year. So if things were terrible 50 years ago for certain people, then it’s not overnight — or even over a generation — that those things will change. I also draw a lot of strength from people from the past — artists, musicians and entertainers who lived through really difficult times and dire situations. When I hear slave songs, I think about composing and creating music in these awful conditions. We’re all linked in this way to the feeling of wanting to be human. More than wanting to be human actually, knowing we’re human, and that we share connection in that way. Q: How does your visual art influence your performing art and vice versa? CMS: I don’t know that it influences at all. All I know is that visual art has become a very relaxing thing for me to do when I’m on tour, between concerts, on the train. It allows me to express myself in a different way — in a visual way. Music is not visual. They probably do influence each other, but it would be really difficult for me to figure out how. Q: Often, you hear musicians talk about music in visual terms, using words such as color and texture. How do you feel about that? CMS: People try to add visual elements to music, but it’s very much experienced differently. Music also doesn’t have the permanence of visual art. A song, once I sing it, it’s over. But a drawing, I can keep it, I can look at it. It’s a different facet of expression. Q: It sounds like you enjoy having different mediums of self expression. CMS: It’s nice to be able to just express yourself. I feel so many people don’t draw or sing because they think “oh, I’m so terrible” or “I’m not good” or “anything I draw will be ugly.” It’s a shame we lose a lot of what we did as kids when we didn’t worry about what other people would think. We were creative because it was fun. Because it was a way of getting our ideas on paper and our imagination going. It’s always nice to have some kind of artistic practice for yourself because it’s a really enriching experience, where you’re creating something I love it. When you’re creating something, it reminds you that you’re human and that you can do things and make things, that you’re purposeful other than your job — whatever it may be. My mom and my sister start different projects all the time. My sister does weaving. My mother does lacing and she makes chairs, furniture and clothes. Seeing people try to make something is really inspiring to me. Q: If you could perform with anyone, living or dead, who would it be? CMS: Instead of performing with them, I would just want to listen to certain people. I would want to listen to Betty Carter perform or see Thelonious Monk. If I can choose anyone with whom to perform, it would be someone that I’m super obsessed with, someone whom I believe is a god. Meaning, I just wouldn’t be able to perform at all! Q: Have you had such an experience? CMS: I’ll tell you a weird story: I met Stevie Wonder once. I sang for him. He got up on the piano and started playing “Overjoyed.” He said, “sit next to me, sit next to me.” I didn’t know what to say! What do you say to Stevie Wonder when he’s playing one of the most beautiful songs I’ve ever heard, asking me to sing with him? I knew the song. I suppose I could’ve chimed in if I wanted to. He was very open and relaxed, but there was no way I was going to. I was so in the moment watching his hands and hearing his voice right next to my ear. I couldn’t perform at all! Q: Has this been a good year for you? CMS: I feel really lucky. This year has been a great year. I’m just enjoying it while I can.